Born/raised in Oregon, Duane Millard Eakin attended Willamette University after graduation from high school. He enlisted in June of 1956 and was a Captain in the USAF, a veteran of the Vietnam war. 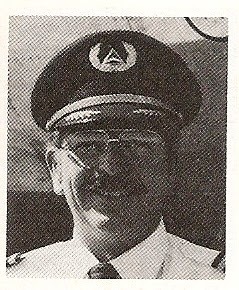 Following his military service, Captain Eakin joined Western Airlines 08-21-1967 and retired with Delta Air Lines in 1994, based SLC then SEA prior to retirement. Captain Eakin was 63 years of age at the time of his passing. His wife Marilyn survives him. A graveside service will be at 1:30 p.m. Friday, March 27, 1998, in Willamette National Cemetery for Duane M. Eakin, who died March 24 at age 63. Mr. Eakin was born Nov. 13, 1934, in Portland. He graduated from Redmond High School and Willamette University. In 1956, he married Marilyn Harland. He served in the U.S. Air Force from 1956 to 1967. Afterward, he was a pilot for Western Airlines, which was bought by Delta, until retiring in 1994. He lived in San Jose, Calif., Minneapolis and Salt Lake City before moving to Canby in 1983. Survivors include his wife; son, Jeff of Tigard; daughter, Suzanne ‘Zan’ Murzello of San Jose, Calif.; mother, Oma of Madras; brother, Merle of Astoria; sister, Brenda Hector of Hermiston; and one grandchild. The family suggests remembrances to the American Cancer Society. Arrangements are by Canby Funeral Home.